The CSPA is authorized by the Aero Club of Canada to issue parachuting certificates on behalf of the FAI, in the general interest of sport aviation in Canada. The CSPA issues Certificates of Proficiency (CoPs) to recognize ability and knowledge, separated into classes to represent different levels of competence. These "licenses" A, B, C and D, benefit travelling skydivers and all dropzone operators, the benefit of one standard of FAI Certificate of Proficiency applied throughout the world. Additionally, CSPA grants a nationally recognized "Solo" certificate which updates the former self-supervision endorsement. 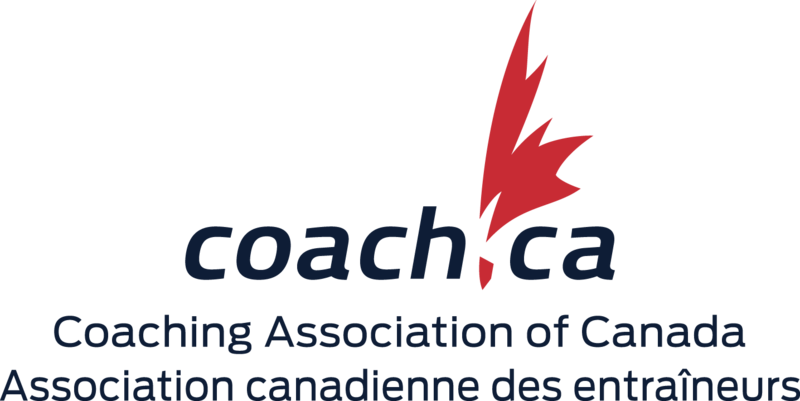 The CWC through its system of coaches and instructors is responsible for developing programs that help skydivers achieve the tasks required at each level. In most cases, these coaches and instructors verify the completion of these tasks. Skill requirements (skydiving skills) for a CoP must be verified by a person designated by CSPA as qualified to perform that function. Freefall jumps that are to be counted for CoP purposes must be controlled. The term controlled refers to the parachutist having unassisted control over the attitude of the body from exit to canopy inflation. Control must be maintained during parachute activation. When recording freefall manoeuvre performance times, the actual time plus any penalties (corrected time) must be shown in the logbook. The exit altitude and freefall time must also be recorded for every jump in addition to recording the accumulated time. Accuracy jumps counted for CoP purposes must be controlled. The term controlled refers to the parachutist having a controlled approach on a pre-determined target, executing turns with a minimum amount of oscillation..
All accuracy landings must be a safe, standup landing. The distance of landings from the centre of the target must be recorded in the logbook. Precision landings are required for the different levels of CoP. Record every distance that can be reasonably measured. These jump and landing demonstrations must be self-spotted and performed without assistance - that is without instruction or coaching. Landing made while receiving direct instruction or coaching do not count. As well as performing skills there is an amount of knowledge that must accompany those practical skills. You will be tested on that information prior to applying for your Certificate of Proficiency. You will find study information in the following texts: PIM 1, PIM 2A, B & C, the most current CSPA logbooks and on the CSPA website at www.cspa.ca. The type of information that you will be tested on can be found in the information about the endorsements needed to fulfill the CoP requirement; information pertaining to the privileges of each CoP level; Rules and Recommendations of the CSPA, and; competition, equipment and general parachuting knowledge. Skill requirements for a CoP must be verified by a person designated by CSPA as qualified to perform that function. Qualified individuals holding signing privileges include Coaches, Instructors, Riggers (for packing), Judges and Qualified Evaluators. All written/verbal examinations and demonstrations of practical skills will be directed to a skill level appropriate to that of the certifcate being applied for. There are performance standards for each certificate. These standards are identified later in this section. All practical skills for the respective CoP must be achieved prior to writing the CoP Exam. These practical requirements must be witnessed and signed in the logbook by the Coach/Instructor who has the proper rating. A list of the rating holders required for each task can be found in the Endorsement section, below. During processing of your application, your logbook entries are reviewed with special attention being paid to the specific practical qualifications for that certificate. An exam will be written for each certificate. A pass mark of 80% must be achieved on the exam. Exams are written under the supervision of a SSE. Results of written exams will be immediately entered on the application section of the exam booklet, by the SSE. Failure of a written exam will require a minimum waiting period of 14 days before re-examination can take place. Written exams are prepared by the the CWC. They are distributed, on request, to SSEs, up to and including the highest class of CoP held by the SSE. This includes, but is not limited to, required jump numbers and freefall time. Contact a SSE, so as to determine if requirements and qualifications have been met, prior to applying for a CoP. Each Member normally has at least one SSE. The SSE will complete the pertinent items on the application form and verify all the required information. The practical demonstrations must be witnessed by appropriate Coaches/Instructors. General qualifications and endorsements must be identified by the SSE from a properly verified logbook or endorsement card, prior to signing the CoP application form. Write the applicable CoP exam and review the results with your SSE. For all CoPs, have the requirements verified, the application form initialed and signed by the SSE who administered your exam. For C and D CoPs, please photocopy or scan the pages of your logbook that correspond to the jumps on your application form. Notarization is not required. Ensure the signature of the appropriate rating holder is legible, and BOTH their CSPA # and rating are signed on EACH jump in your logbook, NOT their CoP #. Forward required items to the CSPA. Written exams are normally kept on file for 30 days. If the applicant fails to submit all required items and documentation to CSPA within 30 days of the written exam, the application will be rejected and they may be asked to rewrite. The office does not accept ANY forms that are not the current versions and will not be held responsible for delays in processing. All current forms are available on the CSPA website and/or upon request from the office. CSPA CoPs may be issued to a Foreign National providing the individual meets the requirements for the level of CoP applied for, and is a CSPA Registered Participant, Foreign Nationals, holding at least a “A” level CoP of a nation other than Canada, are not required to obtain a SOLO certificate. All CSPA certificates, “Solo” through “D”, must be obtained in sequence. Proof of highest foreign CoP must be submitted with the level of CSPA CoP being written. All previous levels of CSPA CoPs must be written and submitted at the same time but only highest level of CoP requires payment. CSPA/FAI Certificates of Proficiency, once issued, may not be withdrawn, unless obtained by fraudulent means; and are only valid with an active CSPA affiliation. CSPA Certificates of Proficiencies are recognized by FAI as meeting FAI minimum standards for each of the CoP levels, however CSPA CoPs and ratings are the product of CSPA and as such reserve the right to make changes without notice to our requirements.